The FBZ Vertical Stage series provides pure vertical motion, while driving a wedge axis horizontally. 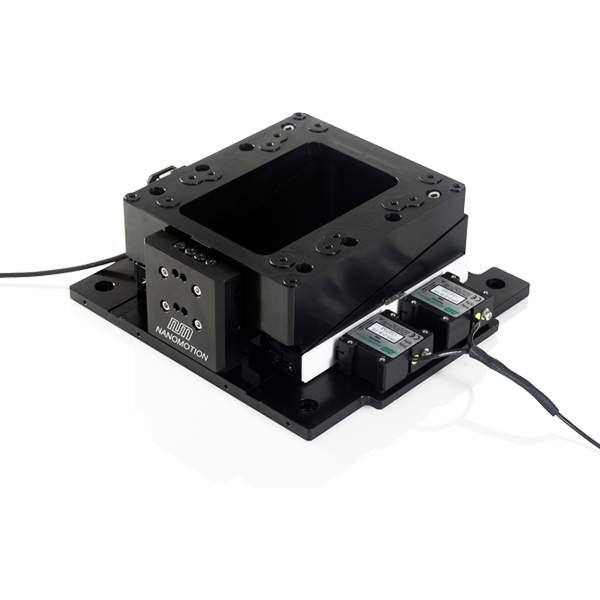 The FBZ provides complete access to the top surface of the user interface without having to stand a linear axis up. The top surface is guided with a linear bearing to prevent horizontal displacement and the Z position is encoded with an optical linear encoder for sub-micron positioning.